The global green movement has put more emphasis on setting up the home to be more environmentally friendly. From recycling garbage, to composting and building with greener materials there is more awareness now on what green items are important to use in the home. The kitchen has garnered the most attention for using green items and here we take a look at one way in which to go greener by using environmentally safe dinnerware. Dinnerware has often been overlooked in greening a kitchen due to the attention that has been placed on conserving water usage, recycling, and stocking the shelves with organic food items. Just as important though, are the everyday plates that the organic food will be served on day after day within the kitchen that can contribute to an overall green lifestyle. Here we will take a look at various types of environmentally safe dinnerware that range from recycled glass and wood to plates created from organic materials like plant husks. Ecosource is an American company focused on creating products within the green movement. Among the various biodegradable products that they create is that of dinnerware. The plates and bowls called grēnware are created from fully durable and biodegradable materials. The dinnerware is made from a base blend of renewable plant cellulose and fibers. 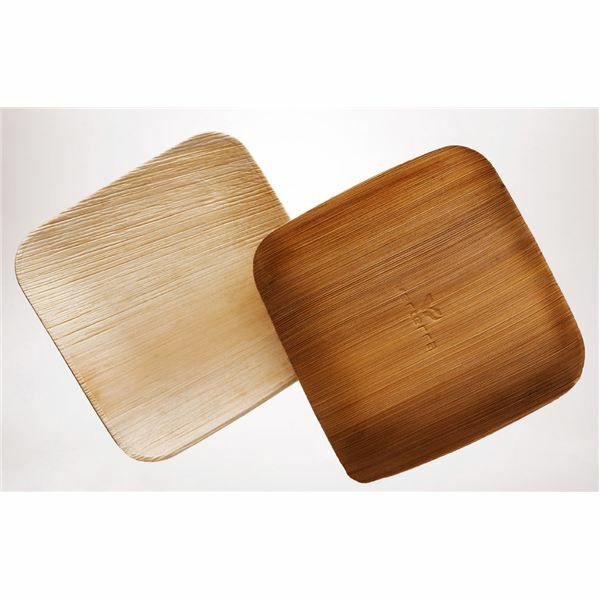 The hulls from straw and rice are combined with coconut shells and bamboo fibers to give the dinnerware strength and natural coloring. The dinnerware line can last up to five years of in home usage. After five years of usage, the consumer can break the plates and place in a composting bin. Under the optimum composting conditions, the plates and bowls will biodegrade within the time frame of four months.These pieces are sold through retail stores and can also be found online for purchase through Pristine Planet (see below for website). 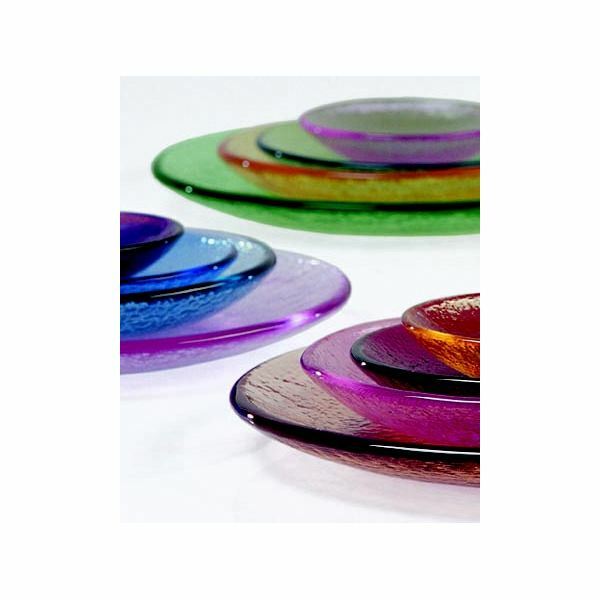 Fire & Light is a recycled glass artisan group who has developed a line of environmentally safe dinnerware in addition to their artistic bowls and vases. Each piece of recycled glass is handmade in the Fire & Light studios located in the state of California. The glass is hand-pressed into various collection pieces and is dishwasher safe. 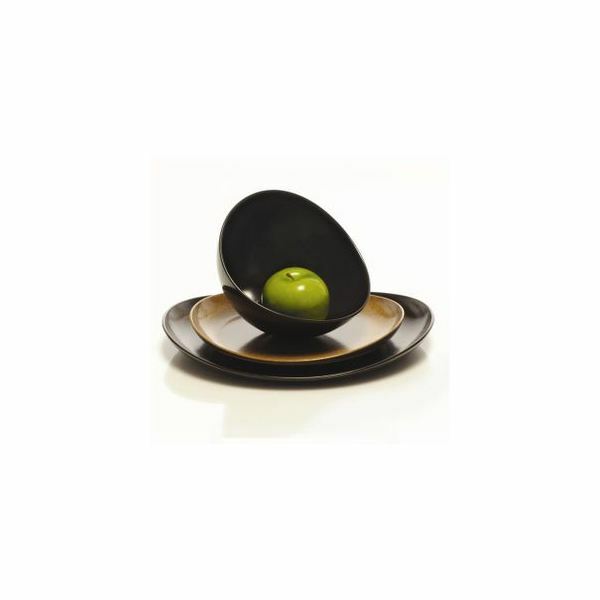 The dinnerware comes in a range of eight different colors and offers dinnerware pieces that include the following: serving plates, dinner plates, salad plates, appetizer plates, soup bowls, salad bowls, pasta bowls, serving bowls and beverage glasses. The pieces are sold through retail stores and can also be found online for purchase through Pristine Planet. VerTerra is a eco-conscious company that takes fallen leaves from plants in Southeast Asia to make dinnerware. The leaves that fall naturally and would otherwise be burned are collected. Next, the leaves are then steamed and pressed in molds to form the plate shapes. The biodegradable component to these plates comes in a usage life of two months, where the goal is to return the leaves back to the earth through composting. Standard usage of VerTerra plates include up to two minutes of microwaveable heating, as well as reheating in an oven up to 350 degrees. These fallen leaf plates can be purchased through various retail outlets stateside and beyond or even bought online through Pristine Planet.